As a member of the Minnesota Association of Environmental Professionals (MNAEP), you are invited to participate in a MNAEP members-only service opportunity with the Minnesota Bumble Bee Survey. The Minnesota Bumble Bee Survey has worked to document long-term trends in bumble bee populations since 2007. Volunteers capture bumble bees while they forage on flowers; bees are identified by experts, marked, and released. 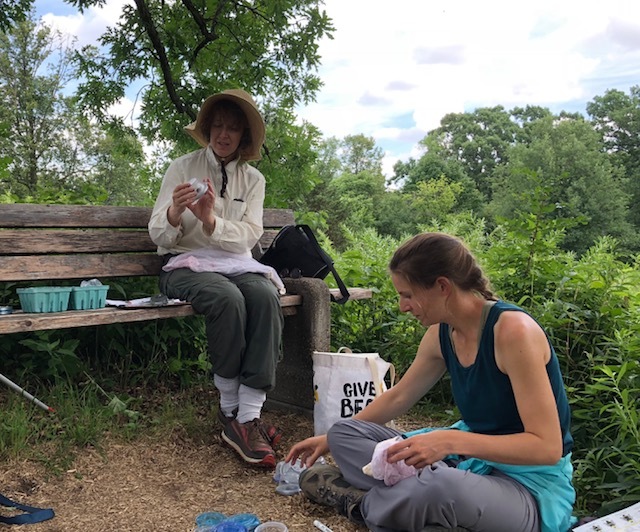 This private event for MNAEP members is scheduled for Sunday, July 15, 10:00-11:30am at Eloise Butler Wildflower Garden in Minneapolis (1 Theodore Wirth Pkwy, Mpls, MN 55405). The survey effort will be led by Elaine Evans, who presented at the MNAEP event in November, 2018 on Minnesota bumble bees. If you’re not a member but want to attend, send us a message and we’ll let you know about our discounted membership for 2018!